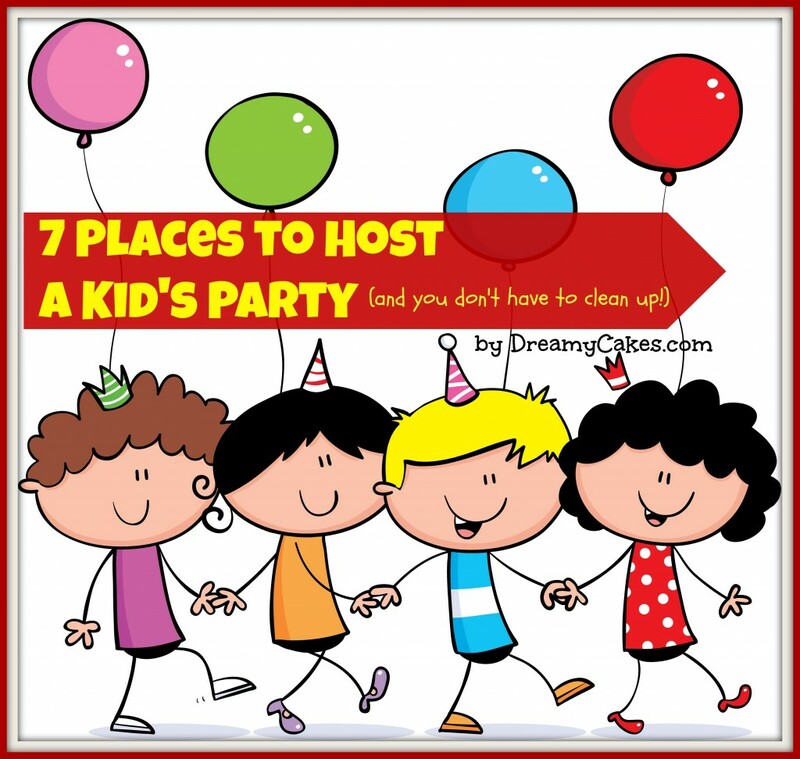 7 Places to Host a Kid’s Party (and you don’t have to clean up)…. If you are looking for some new ways to celebrate your child’s birthday but don’t want the mess (and hassle) of hosting a party at home, you’ve come to the right place! Pony rides, animal feeding and cuddles from baby animals – what could be more fun than a farmyard party? At Trevena Glen Farm, approximately 35 minutes from Brisbane CBD, you can host your own farm party. Set on 25 acres there is plenty to do from bottle feeding lambs to bumpy hay rides. Bring your own cake and party food and enjoy a fantastic day out! 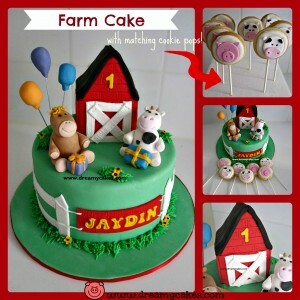 Check out this post for more Farm Birthday Cakes and ideas. 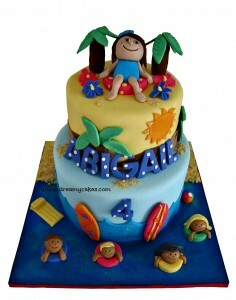 Looking for birthday party ideas to suit ‘all types of weather’? What about indoor rock climbing? Check out Rock Sportsin Fortitude Valley and Logan City. They offer kid’s party packages where you can climb for 2.5 hours (that should wear them out!). They also offer self catering which is a great option to keep your budget on track or you can order ahead for a pizza party. Why this is a great party: burn off all those sugary lollies and wear them out on the climb! Action packed birthday party ideas at: Laser Skirmish. Located in Mount Cotton Laser Skirmish is an option for an adrenaline pumping fun birthday party. They offer Army Themed birthday parties which kids will just love! There is no projectiles or paint so it’s safe fun for girls and boys. Why this is a great party: they’ll love dressing up in army camos and wearing face paint! Let your child embrace their inner Master Chef with a cooking party (and you don’t have to do the washing up!!). At Yummilicious Cookery they supply all of the tools and ingredients – you just have to bring the drinks and birthday cake. Your child can choose 1 savoury and 1 sweet dish to cook. They even have an onsite cafe for the parents while your kids are enjoying the party. They are located in West End, but also offer at-home cooking parties too. Why this is a great party: Let the kids make a mess while you enjoy a relaxing latte…need I say more? 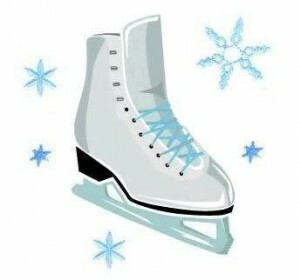 Stay as cool as ice in the hot summer heat at an ice skating party. Iceworld Acacia Ridge and Boondall offer birthday parties all year round. Party packages include food, a decorated party area and party host – just bring your cake and candles and enjoy the cool. Suitable for kids from 4 years. Why this is a great party: Beat the summer heat in the cool and you don’t have to lift a finger! 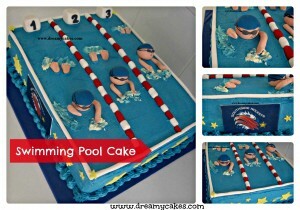 Birthdays that fall during the winter months don’t have to miss out on a pool party! How about an indoor pool party? You’ll find a list of council pools on the Brisbane City Council website or take a look at the Brisbane Aquatic Centre, Chandler. You can hire out a lane in the pool and enjoy a pool party in the middle of winter! Why this is a great party: kids will love the novelty of swimming in the middle of winter! If you little girl loves to dress up as a ballerina she will love a Ballet themed party. Located in Salisbury, on the southside of Brisbane, Dance Pointe offers kids parties in their studio or at your home. Parties include interactive dances, games, face painting and goodie bags. The studio has been refurbished and is really gorgeous and spacious – take along your Ballet themed cake and forget the cleaning up! Why this is a great party: cuteness overload watching your little ballerina in her tutu. So there you have it – birthday party ideas for everyone! Hopefully you got some inspiration from this post. I’d love to hear any more of your ideas for a fantastic kid’s party. If you are wanting an awesome cake to match your child’s party theme contact us at Dreamy Cakes to discuss a customised quote. We look forward to hearing from you!